At Titchmarsh & Goodwin, because we make everything by hand from scratch, we can produce any item in any shape, any size and any colour. 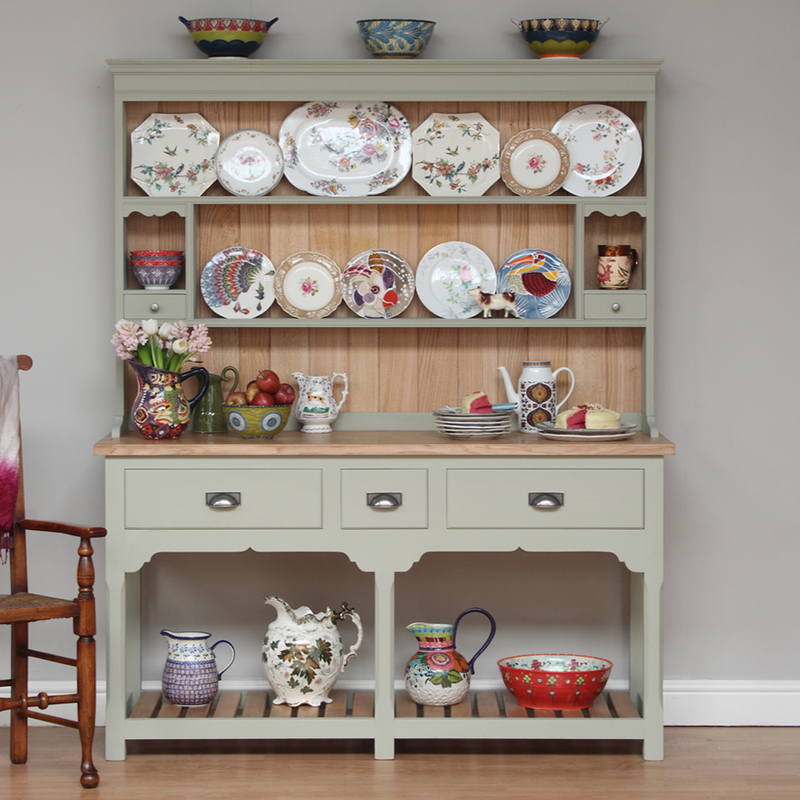 Here’s a combination of two of our standard dressers, with a couple of modifications to the legs and apron with a natural oak and painted finish. Just before it left to go on its journey to its new home, we thought we’d take a quick snap. If you see a piece of furniture that you’re interested in but want modifications or want it customised to fit into a particular space or colour scheme, then please get in touch or for more information about our bespoke service click here. We can quite literally make anything for you.